I would like to extend a warm welcome to all the new readers who have arrived at Becks & Posh via yesterday's San Francisco Chronicle article about food bloggers in the Bay area. Congratulations to all the local bloggers who got a mention, or even their picture printed in the rag. But those of us with our newly found and fleeting fame, aren't the only bloggers in these parts. If you are more seriously interested in food in the Bay Area, stop here a while and check further down the index column on the right of this page where I try and keep an up to date, comprehensive list of all the local food bloggers I know about. In particular do try and find time to visit Life Begins at 30, who reminds us of the importance of sourcing localy grown and made products, Spicetart who is always a giggle and World on a Plate whose pieces are well-written and often thought-provoking. Yesterday, I also had my first guest article published on local news digest, SFist. For the bi-weekly restaurant review feature they have asked me to do, I will be eating my way around San Francisco using the alphabet as a device for selecting the restaurants I am going to try. 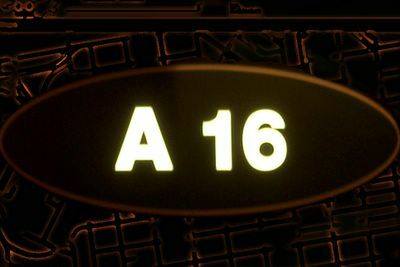 For my first piece, starting with the letter A, I visited the much talked about Marina District Italian, A16. Check out my review, written in typical SFist Style, here. Great review of A16. Now I have to go back. The new gig sounds very cool! Fun to see where the blogging can take you. Tony Hurd and I were eating at a crappy diner off of Highway 101 yesterday on a trip back from the Central Coast, and we picked up a "San Francisco Chronicle" and saw that your stardom had only increased exponentially while we were away. Liked your restaurant review for SFist, although the title of that blog does give me pause. Aren't they aware that San Francisco is full of fist-f***ers who might be easily confused? When I first saw the name/logo I expected to see ads for slings and leather toys.